Koristi svoj društveni profil za bržu prijavu. Ihar Soika had one heck of a day on the felt. 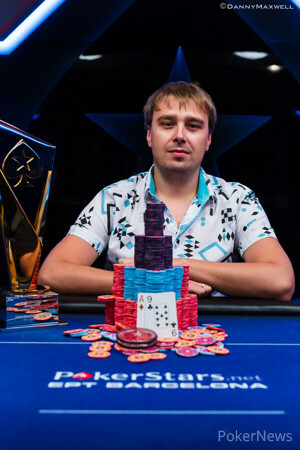 After beginning fourth in chips out of the final 21 players, the man from Belarus emerged victorious to claim the trophy and top prize of €747,200. A massive 393 entries were tallied in this event, smashing all previous records for an EPT high roller event. With just three tables left on Day 3 and the field well into the money, the stage was set for a great day of poker. With players such as Jason Mercier, Juha Helppi, Nicolas Chouity, Dario Sammartino, Stephen Chidwick, Ami Barer, and Marc-Andre Ladouceur all still alive and well, it was anyone's game. 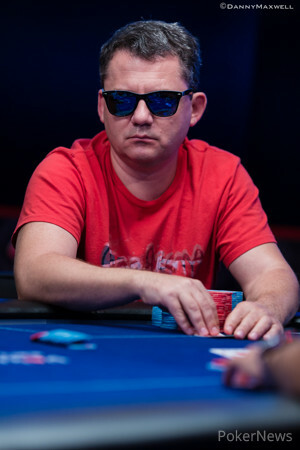 Angel Guillen busted straight away, and he was followed out the door by Vladimir Troyanovskiy in 20th place and Chouity in 19th. A few more eliminations happened from there, including Helppi in 17th place, before the tournament hit a standstill with 15 players remaining. It took awhile to find the 15th-place finished, and that proved to be Italy's Sammartino. 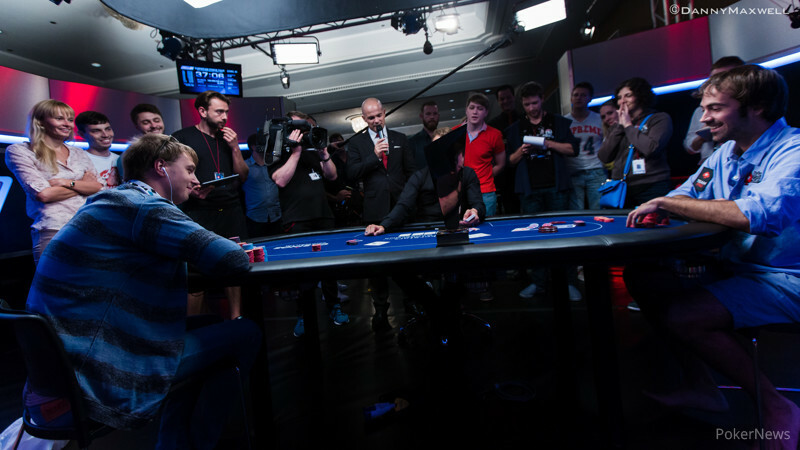 Then it was Joao Vieira, Agshin Rasulov, Dylan Linde, Alexander Roumeliotis, and Dmitry Yurasov all falling in that order to reach the final nine-handed table. After Maxim Panyak hit the rail in ninth, taking home €73,600 for his efforts, the official final table was set. Soika had quite the chip lead when the final table was reached, and he only improved from there. He built, built, and built right from the start of the day and watched as others hit the rail. 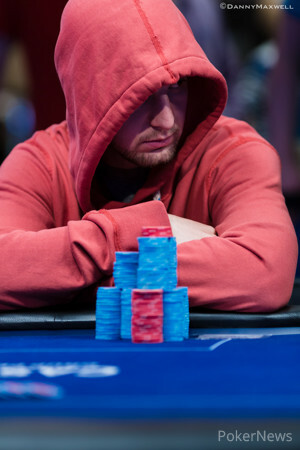 At several points of the final table, Soika had sometimes 30% or more of the chips in play — an amazing feat considering he had this amount when play was still six-, seven-, and eight-handed at times. Carlos Chadha finished in eighth, Chidwick busted in seventh place, Ladouceur took sixth, Benjamin Pollak finish fifth, and then Ami Barer ended up fourth. Ismail Erkenov, who had battled with Soika many times during the day, eventually fell to the man who would go on to win. Soika had the lead going into heads-up play, and he never looked back. On the final hand, Mercier was all in with the against the for Soika. The board ran out , and that was the end of the line for the Team PokerStars Pro. Congratulations to Soika, who earned a massive payday and his first-ever six-figure score. He topped the biggest EPT high roller field in history and will forever be etched in history because of it. Jason Mercier opened for 400,000 from the button, and Ihar Soika asked how much the Team Pro was playing roughly. Mercier gave a precise answer: 5,450,000. Soika then three bet to 935,000 and Mercier glanced one last time at his stack. Mercier had made up his mind, now Soika needed to do the same. The man from Belarus made the call after about ten seconds of thinking. Mercier turned over , and turned out to be racing against Soika who had . The on the flop gave Soika the lead, something that was clear from the get go as the ace was in the window. The fell on the turn and Mercier laughed "Close! Even the right suit!" The was another low card, but not the right one for the American Team PokerStars Pro. Jason Mercier finished runner up, stating to one of the reporters that he was very happy with his deep run, and that he had most of his own action in this tournament. Ihar Soika opened to 320,000 from the button, and Ismail Erkenov three bet to 600,000 from the small blind. Jason Mercier quickly released his hand, but Soiko made the call. Erkenov continued for one million, Soika called without much hesitation. Erkenov took his foot of the pedal and check, but he called Soika's 1,425,000 bet without taking too much time. Erkenov checked again, and Soika took his time. The man from Belarus glanced at Erkenov's stack (about 3.2 million), and announced all in. Erkenov thought about it for some time, and finally said: "Ok", as he tossed in a couple 5,000 chips to indicate the call. Soika showed , Erkenov mucked. The dealer turned his hand over anyway, and we saw Erkenov had made the call with . Team PokerStars Pro Bertrand 'ElkY' Grospellier sits down with PokerNews.com to talk about the old days of online poker, in which the Frenchman was one of the biggest stars together with the likes of H@££INGGOL, Rekrul, RaSZi and Daut44. Grospellier gets a little nostalgic when he thinks back of what it was like when players in the United States, and all over the world, could compete against each other. Despite these nostalgic feelings ElkY thinks that the future of online poker is bright, and that good things are coming for the industry. Ihar Soika opened the button for 320,000, and Jason Mercier in the big blind was the sole caller. Mercier checked to Soika on , and the Belarusian made a 320,000 c-bet. Mercier check raised to 815,000, Soika called. Both players checked the on the turn, and the hit the river. Mercier checked again, and reluctantly tank-folded after his neighbor bet 875,000. Ami Barer opened under the gun/the cutoff to 320,000, and Ismail Erkenov quickly folded the button. Jason Mercier took a good look at the situation, glanced at Ihar Soika's stack, and then made it 675,000 from the small blind. Soika quickly folded, and Barer moved all in. Mercier called instantly. Earlier tonight, Mercier won in a similar situation with ace-ten from aces, Barer wouldn't be as lucky. The flop helped in no way other than runner runner something, and the on the turn sealed the deal. The on the river was there just to make things official. Barer takes home €276,900 to Canada, the remaining three players are guaranteed €342,400. 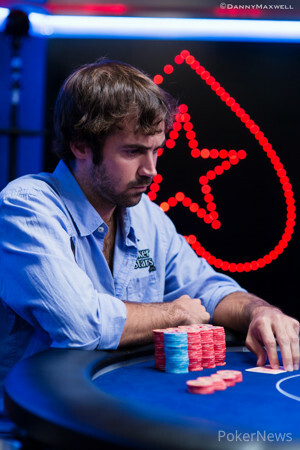 Ami Barer opened for 320,000 from the button, and Jason Mercier shoved from the big blind for 2,005,000. Barer called almost instantly. The board didn't do anything for either, and Mercier doubled. 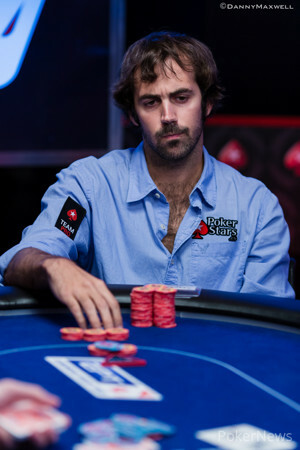 Jason Mercier and Ami Barer have both lost small post flop hands. The damage wasn't huge, but every pot counts at this point. Both Mercier and Barer lost some chips. PokerNews.com je vodeći svetski poker sajt. Izmedju ostalog, posetioci svakog dana mogu pronaći najnovije poker novosti, artikle, izveštaje direktno sa turnira, ekskluzivni video i širok izbor poker soba sa detaljnim pregledima, najboljim poker bonusima i još mnogo toga.